The U.S. Drug Enforcement Administration has reported that armed robberies of pharmacies across the nation increased 51% between 2006 and 2010. According to DEA spokesperson Rusty Payne, addiction to prescription drugs like DEA has fueled the surge in drug store crimes. The desire to obtain drugs by people who are addicted and by drug dealers who traffic in black market pharmaceuticals has brought violent crime to the corner drug store. In some cases, pharmacists are arming themselves with guns. MSNBC reports that pharmacy thieves are overwhelmingly targeting oxycodone painkillers like OxyContin and Roxicodone and hydrocone-based pain pills like Vicodin and Norco. Both oxycodone and hydrocodone are highly addictive. 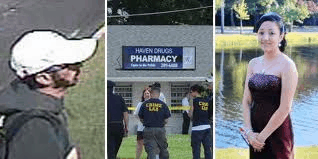 • On Father’s Day, New York resident David Laffer executed four people in a Long Island pharmacy where he had gone in search of drugs for his wife. After taking 10,000 painkillers and other pills at gunpoint, Laffer shot and killed two store employees and two customers ranging in age from 17 to 71. 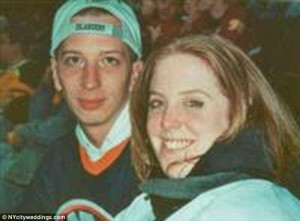 Laffer was sentenced to four consecutive life terms and his wife Melinda Brady was sentence to 25 years for her role in the crime. • On New Year’s Eve, off-duty federal agent John Capano was picking up a prescription at a Long Island pharmacy when he confronted robber James McGoey. A struggle ensued and both Capano and McGoey were shot and killed by a retired police officer who was responding to the reported robbery. • In late 2010, two Sacramento female drug store employees were shot when a gun battle erupted between two armed robbers and another store employee who had a semi-automatic handgun. One of the employees died of a gunshot wound to the chest and the other, who was pregnant, survived. Both suspects were later apprehended and await trial. Across the country, there have been more than 2,800 pharmacy robberies since 2006. 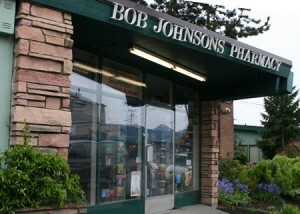 Small, independent drug stores are often targeted because they have fewer customers at any one time and a robber can get in and out more quickly. In 2010, almost 700 robberies involved a gun. The amount of prescription drug abuse in America is staggering. Recent data from the National Institute of Drug Abuse (NIDA) indicates that 7 million people in the U.S., or almost 3% of the population, use prescription drugs for non-medical reasons. NIDA also reports that 73% of prescription drug abuse is associated with painkillers. The National Community Pharmacies Association has launched a Protect Your Pharmacies initiative. Drug store owners are encouraged to keep addictive painkillers like OxyContin locked in a safe and to rearrange their store so the store entrance can be viewed from the pharmacy counter. Although the initiative does not recommend that pharmacists arm themselves, many have begun to keep a gun behind the counter. Unfortunately, gun battles in drug stores can result in the death of innocent employees, customers and bystanders. This is because on Sunday, Fathers Day, a man walked into the small local drug store at around 10:20 a.m. and caused “one of the most heinous, brutal crimes we have ever encountered” said Soffolk County Police Commissioner Richard Dormer. The man was about 5-foot-8 with a thin build, between his late 20’s and early 30’s. He walked into the pharmacy with a white baseball cap, black backpack, dark bearded face, and robbed the store with a hand gun. The man could have fled the scene of the crime after he had the painkillers. Instead he shoot everyone in the store at a very close range, the man killed everyone in the form of execution. Police said that the only motive the gunman had was painkillers – he left the money behind. Police have warned physicians and small drugstore owners in the suburban Long Island community, to be vigilant about anyone “expressing an urgent need for prescription painkillers.” Police have added more patrols around the area and surrounding the small pharmacies until the suspect is apprehended. The four victims that were part of the Fathers Day massacre were identified as Raymond Ferguson, 45, and Jennifer Mejia, 17, who were both pharmacy employees. The two customers in the store where identified as Bryon Sheffield, 71, and Jamie Taccetta, 33. Taccetta is being buried on Saturday in her wedding dress that she had just pick out. She was going to get married in October. Pat Taccetta, 52, Jamie’s mother had just returned from the Caribbean’s when she got the news on Monday. Jennifer Mejia was going to graduate form Bellport High School on Thursday. She had her prom dress ready and was ambitiously working towards being a doctor. Rene Mejia, Jennifer’s father said, “This morning (Sunday) she told me happy Fathers Day” with a hug and hurried to work. Rene said that the drug store had been robbed before but his daughter was not afraid. He said he almost lost both his daughters; because Jennifer’s younger sister was suppose to work that morning at the store also. Ferguson was briefly covering the shift of the owner as a favor. Sheffield was a loving grandpa and was just picking up heart medication for his wife. If the man would have left the store with the painkillers this would just have been another story of the bad influence painkiller addiction has on our communities. Drug stores are known to be robbed for OxyContin and other opiate based drugs, but there is no reason for the senseless killing of other people – no matter how addicted one is to any substance. Call and get help from an addictions professional if you or a loved one is suffering from painkiller addiction. When Seattle pharmacist Mike Donohue started his career two decades ago, he never dreamed that he would someday be packing a gun each day at work. Nor did he imagine that pharmacies would require security cameras and bullet-proof glass to stop stray bullets from injuring passers by. 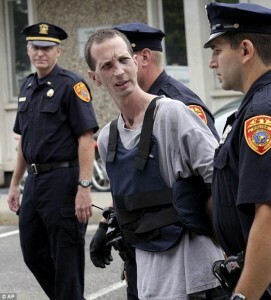 Unfortunately, a string of 6 recent robberies has forced Donohue to adopt a siege mentality. Each of the armed robbers was seeking one thing – OxyContin. Pharmacy robberies that target OxyContin are on the rise across the country and Washington State has been particularly hard hit. Most of the thieves are addicted to the drug and some are drug dealers who can get up to $5,000 on the street for a single bottle of OxyContin. Purdue Pharma, the maker of OxyContin, maintains an online database of pharmacy crimes that are related to the drug. The RXPatrol website shows more than 2,000 robberies reported in the past 7 years. This actual number is probably much higher since it represents only the robberies reported. CNN recently interviewed Donohue about the latest attempted robbery of his pharmacy, which occurred just two hours after he returned from picking a suspect for an earlier robbery out of a police lineup. This time, Donohue was prepared when a man in a hooded sweatshirt presented a note stating that he had a gun and wanted OxyContin. Donohue pulled a Glock 19 handgun from a holster he wears beneath his lab coat and ordered the would-be robber to the floor, then pursued him when he ran out the door. The robber escaped but was arrested later in the day. In many cities, including Seattle, the number of pharmacy robberies has surpassed bank robberies. Criminals who are addicted to narcotics have discovered that they can satisfy their cravings at the neighborhood pharmacy. They can also realize a large profit by selling some of the drugs they steal. Unlike Mike Donohue’s store, many pharmacies are not equipped with security equipment and are easy targets. Bill McNary, another Seattle pharmacist, has taken the drastic measure of refusing to stock OxyContin. He has posted signs at the entrances of his pharmacy telling would-be robbers that there is no OxyContin inside. Mike Donohue has also posted a sign outside his pharmacy, but his lists the names of the men who have robbed him. All of them were eventually caught because they kept repeating their crime. The desperation for drugs has created a new type of criminal who is willing to do anything to get relief. Mike Donohue would like to see tougher penalties imposed for pharmacy robberies, but in the mean time he will continue to wear a gun beneath his lab coat.